The ‘seven deadly sins’ are a classification scheme established by the Roman Catholic church in the 15th century. It is these seven sins from which they believe all immorality is rooted – pride, greed, lust, envy, gluttony, wrath, and sloth. 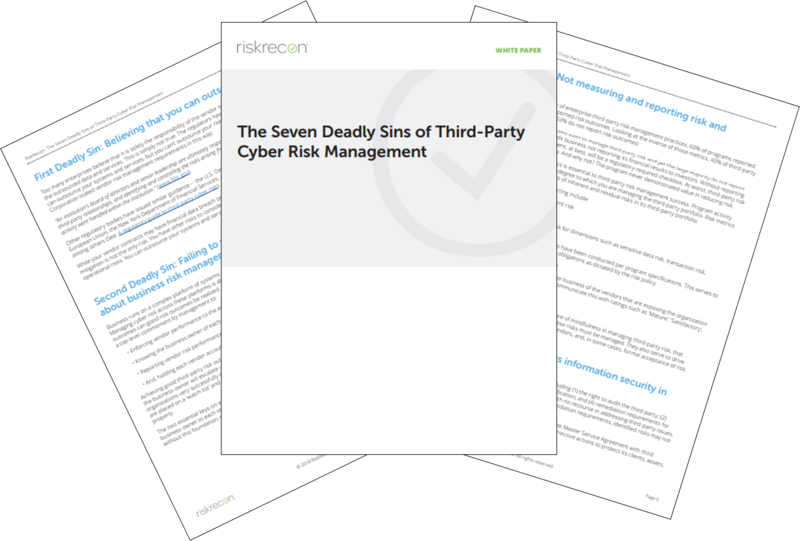 Similar to the religious seven deadly sins, we have enumerated the seven deadly sins of third-party cyber risk management. It is from these sins that programs fail to lift off the ground, die a slow death, or limit the value they provide to the organization. Learn what you absolutely must avoid in your third-party risk program; download this white paper today!